Over half the Fortune 500 companies have faced extinction since 2000. Organizations today are operating in industries that they never have before; collective innovation has become the norm, and constant iteration is of utmost importance, be it in your products and services, processes, strategies, or workforce development. None of this is possible by technology alone and the “people” aspect of digital transformation is more critical than ever before! 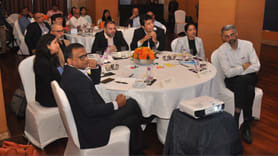 So how does HR lead the digital agenda at the organizations? 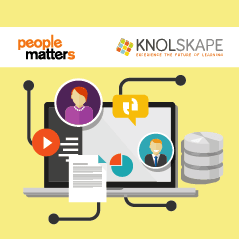 As a part of the ongoing series of conversations, People Matters – KNOLKSAPE are excited to present this webinar on “Clearing the Digital BLUR (TM) – The role of HR in Digital Transformation” to focus on what implications does the digital transformation have on HR, how can HR catapult to be the change leader and not follower and how can traditional HR functions be re-designed to be successful in this digital wave. 1) What does Digital really mean? What are its implications for organizations and HR teams? 2) What is the role of HR in developing and managing talent in the Digital Age? How is it different from the traditional norms? 3) How will HR competencies change to support business transformation? 4) How can HR lead the digital agenda by redesigning the traditional HR functions like talent acquisition, development, and management strategy?